Back and forth rolling motion tenderizes meats faster. Tender Board's 250+ probes hold meat in place while tenderizing. 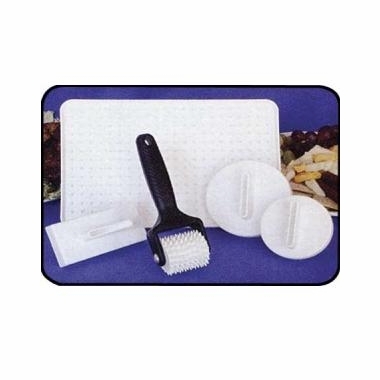 The tender tool set comes with 7 3/4" x 11 3/4" Tender Board, Tender Tool (tenderizing roller), large and small burger presses and stick/breakfast link press.